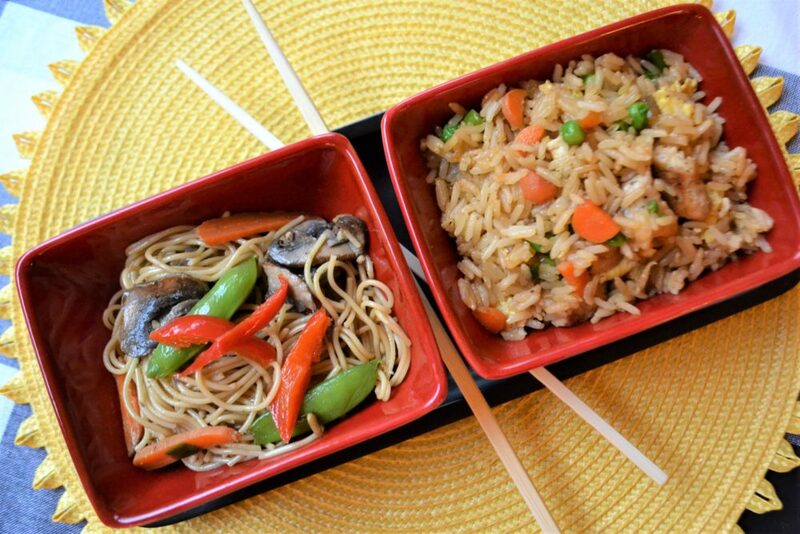 Instead of take out make your own Lo Mein in 25 minutes. Cooked Lo Mein egg noodles coated with soy sauce, sesame oil, ground ginger, hint of Sriracha and sugar make this dish delicious. A quick stir fry of mushrooms, bell peppers, carrots, snow peas and baby spinach in olive oil adds veggies and flavor to the egg noodles. Get recipe for Pork Fried Rice to accompany this dish. 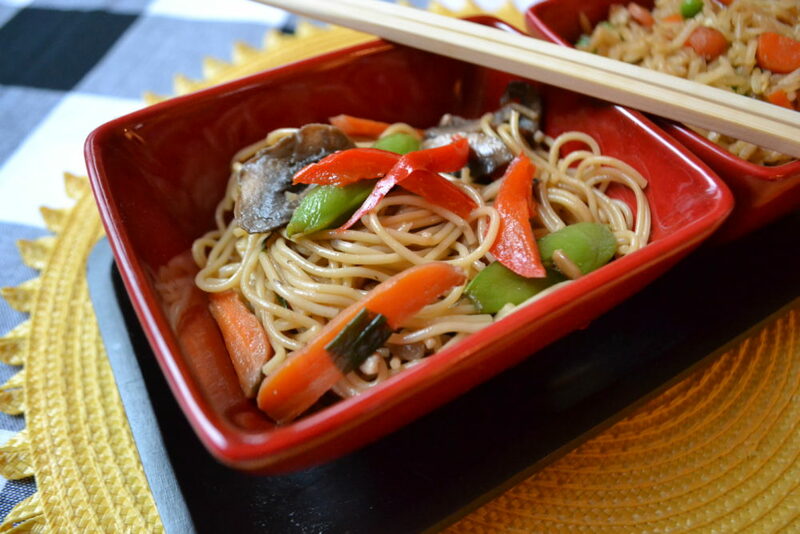 Easy to make 25 minute Chinese take out Lo Mein. Egg noodles or Angel hair pasta can be used for the noodle dish/bowl. The sauce is sweet, salty, spicy and savory all in one dish. Add a little more sweetness to balance the salty and savory if desired. Serve as a side dish or add meat to make it main dish. Cooked meats such as chicken, beef or pork. Prepare all vegetables, dice, julienned, chopped, set aside in separate bowls. Prepare sauce by mixing all ingredients together in small bowl, set aside. In large saucepan, boil water and cook noodles according to directions on package. In large skillet or wok add olive oil and heat over medium high heat. Add garlic, mushrooms, bell pepper and carrots. Cook until tender about 4 minutes, stir frequently. Stir in snow peas, spinach and green onions cook 2-3 minutes or until spinach has wilted. Stir in noodles and sauce, gently toss to coat.